A. 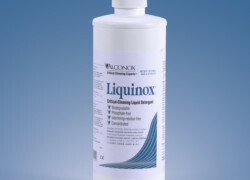 A typical reading for Liquinox® Critical Cleaning Liquid Detergent at usage dilution is ~pH 8.5. A pH 7 reading on Liquinox detergent would indicate that a notable amount of fouling has occurred from use. It may be of some use still but should be recharged with more solution, or replaced. This article, Ultrasonic Cleaning Detergent Bath Life will elaborate. The basic answer on temperature is that it does not change detergent pH much at all. As a broad generalization, all solutions vary in pH roughly 0.03 pH error/pH unit/10°C as you drift from neutral pH 7.0, going either alkaline or acidic. 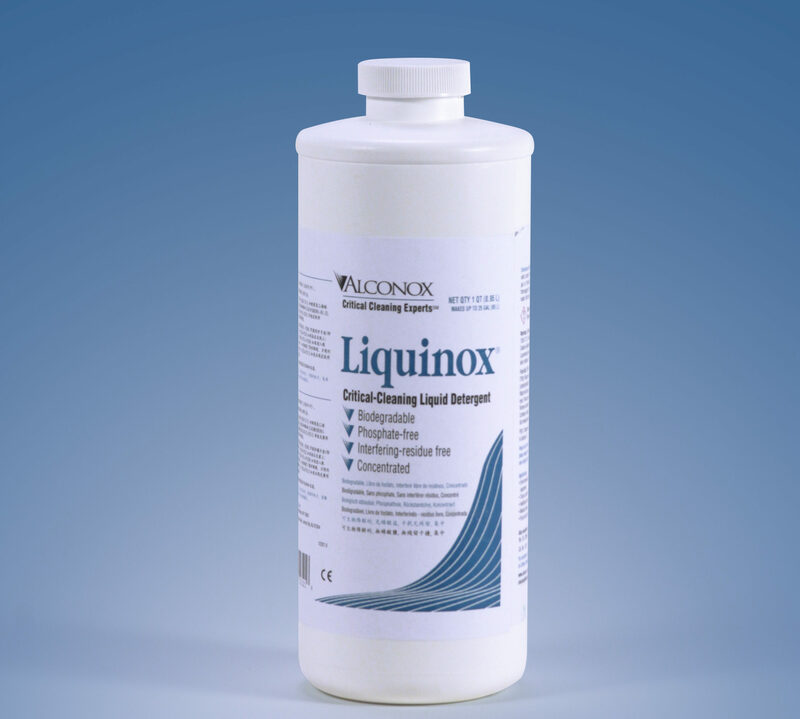 With Liquinox detergent at pH 8.5, you are 1.5 units from 7.0, so for every 10°C above 25°C, you expect the pH to be 0.045 pH units lower than if measured at 25°C using a temperature correcting pH probe. Note that pH probes only correct for changes in impedance and temperature, not for the 0.045 pH unit change. So a pH 8.500 Liquinox solution at 25°C would be expected to be approximately 8.445 at 35°C, and so on. At 65°C, the same Liquinox solution would be pH 8.320. Note individual solutions with different electrolyte types and different types of probes actually may respond slightly differently than the theoretical response regarding pH range, but nonetheless this gives you a ballpark of expected reading. We are always happy to discuss further at any time.